These millennials still believe in a two-state solution. Are they too late? NEW YORK (JTA) — The Israel Policy Forum was founded in 1993 to build support for the Middle East peace process and its “inevitable” solution: two states, one Jewish, one Palestinian, living side by side. Twenty-five years later, that plan appears more elusive than ever, with some politicians and pundits declaring the two-state solution dead or dying. Israeli Prime Minister Benjamin Netanyahu offers tepid support for two states but says the Palestinians are unreliable partners. Palestinian Authority President Mahmoud Abbas said Wednesday that he supports two states — but refuses to meet with Israel and the United States. President Donald Trump broke ranks with his predecessors by refusing to commit to the idea. Both the far left and the far right are offering versions of a one-state solution that erases distinctions between Israel and the territories. Last year, IPF launched IPF Atid, holding happy hours, conversations and events with experts for “rising Jewish and foreign policy young professionals.” It now has networks in New York, Washington, DC, Chicago and Los Angeles. “People on the left and right are disillusioned — and for good reason. It’s easy to get sucked into the communal cyclone of recycled arguments and outdated platitudes,” Philips, an organizational consultant and executive coach, told JTA. “We’re offering a path out of that cycle through pragmatic, forward-looking content that we believe can unite people across the spectrum who share the goal of progress. Earlier this month, IPF selected the inaugural class of Charles Bronfman IPF Atid Conveners, 25 young Jewish professionals selected “to advance the vision of a Jewish, democratic and secure Israel.” The conveners boast affiliations with a range of organizations, including the left-wing Mideast policy group J Street, the centrist Zionist organization Hadassah and the American Israel Public Affairs Committee, which liberals often cast as right wing but which remains committed to the two-state solution. In October, the Bronfman conveners will take part in a training summit in New York and Washington, meeting with foreign policy experts and members of IPF’s leadership. IPF Atid knows it is swimming against the tide. 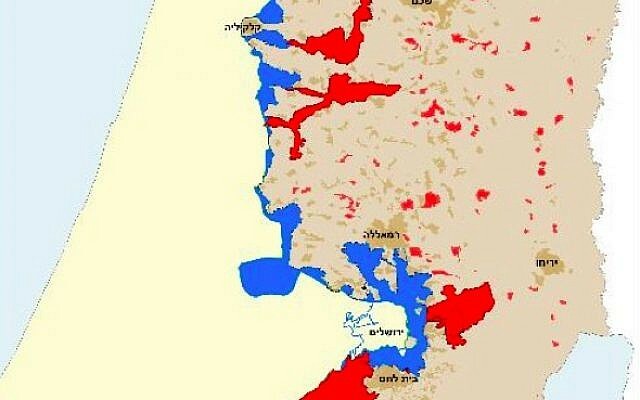 Israeli and Palestinian support for the two-state solution is at the lowest in nearly 20 years: Only 43 percent of Palestinians and Israeli Jews back such a solution, according to a joint survey by the Palestinian Center for Policy and Survey Research and the Tami Steinmetz Center for Peace Research at Tel Aviv University. IPF is also aware of growing support, on the far left and right, of a “one-state solution” merging Israel, the West Bank and the Gaza Strip. In the version espoused on the far left, the merged state would be a binational democratic country, with all its Jews and Muslims able to vote. In the right-wing version, Israel would annex the same territory (or at least the West Bank) and either “encourage” Palestinians to emigrate to a third country or offer them a status somewhat less than citizenship. Critics say the left-wing version would be the end of Zionism and Jewish sovereignty, and the right-wing version would kill the idea of a Jewish and democratic Israel. IPF’s fortunes have risen and fallen with support for the two-state solution. 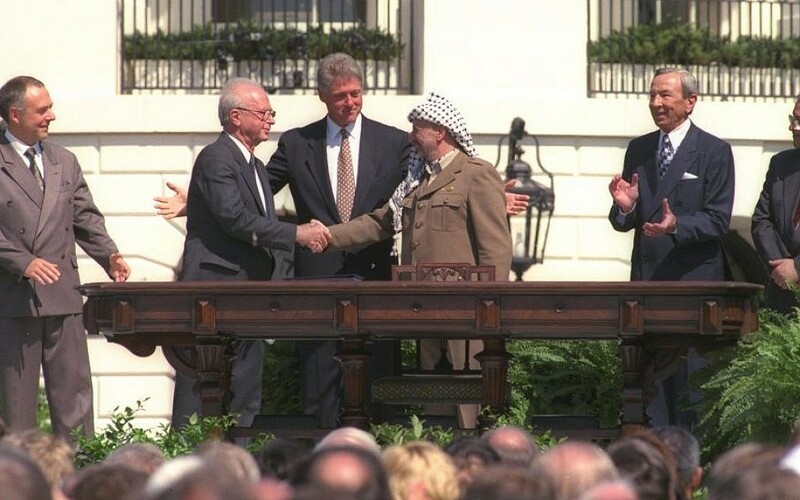 It enjoyed its highest profile during the Clinton administration in the 1990s, which helped shepherd the Oslo peace process that created the Palestinian Authority and gave Palestinians a measure of self-government. The terrorist waves of the second intifada in the early to mid-2000s undermined support for the two-state solution in Israel and devastated Israel’s left, which hasn’t recovered. Following an early 2000s decline, IPF revived itself in 2012. In 2016, IPF drafted two-state plans that it hoped would reach the desk of the next American president. The plans were radical departures from the policies of Netanyahu, whose government is the most right-wing in Israel’s history. This week, IPF condemned the Trump administration’s decision to withdraw $200 million in US assistance to the West Bank and Gaza, saying it would “punish” the Palestinians while doing nothing to advance peace. “Acceptance of a single binational state does indeed seem to be growing, and it is a result of Israeli disillusionment with the Oslo process and a post-second intifada sentiment that Palestinians still do not accept Israel’s basic legitimacy, and of Palestinian disillusionment,” Michael Koplow, IPF’s policy director, told JTA. “After a quarter century of failed negotiations, each of which seems to lead both sides to further dig in, nobody should be surprised that many Israelis and Palestinians feel it is time to move on to the next idea. Despite the gloomy contemporary diplomatic reality, two-state optimism remains strong among young Americans. According to a 2018 Pew Research Center poll, 60 percent of 18- to 29-year-olds believe in the possibility a two-state solution, compared with only 41% of the least supportive demographic, those aged 50 to 64. Stabler works as a senior global marketing manager at the talent agency Endeavor. Daniel Shapiro, the US ambassador to Israel in the Obama administration, expressed pessimism with the two-state solution’s short-term prospects but lauded IPF’s efforts. 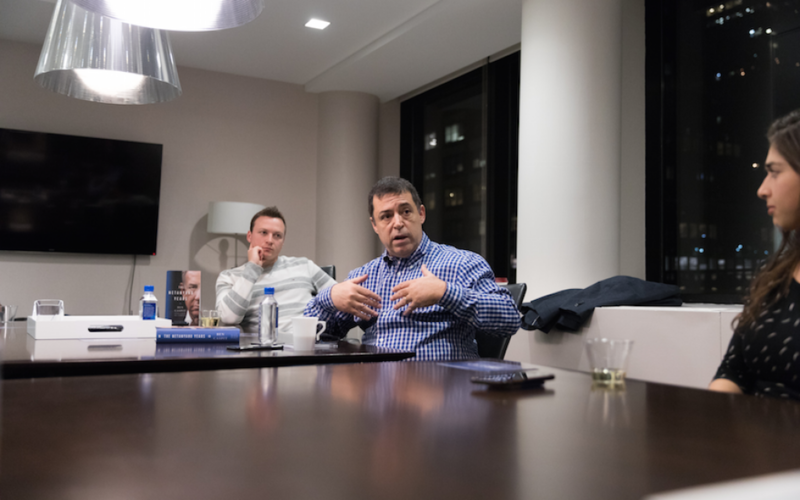 “In the current reality, the main task needs to be just to keep the two-state solution alive,” Shapiro told JTA. “It is not achievable now, and there is currently no leadership, on any side, willing or able to push for it or make the necessary decisions to achieve it. So it is natural that doubts grow about whether it is even possible.